Heat the oil and brown the vermicelli. Add the rice and spices. lower the heat and cook for 20 mins or until all water has evaporated. 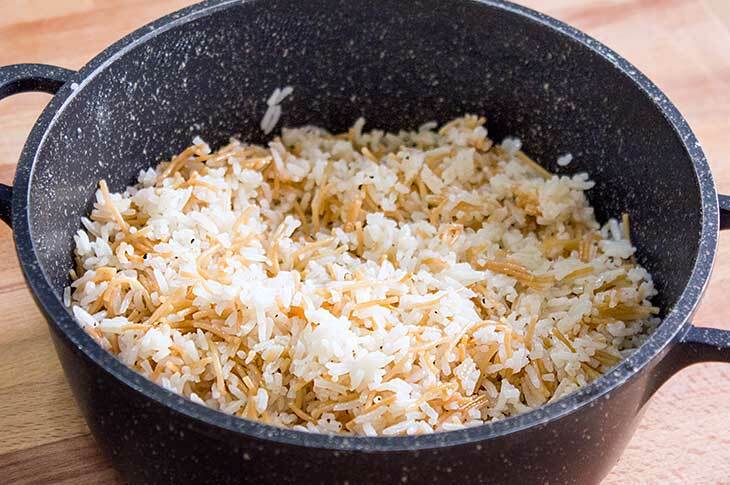 This pilaf can serve as a side to any saucy dish.